Sitecore provides a sophisticated platform delivering the best in digital customer experience and real return for your business. Sitecore provides your business with a market leading platform on which to build the next generation of your digital presence. Sitecore’s adoption by global brands and companies has established it as the market leader in digital experience management. Sitecore is also recognised annually by Gartner as the leader in enterprise web content management and digital experience platforms. 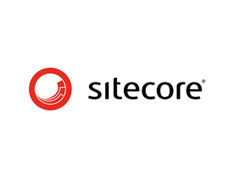 Arekibo is Ireland's leading certified Sitecore agency and we are certified Sitecore Partners. Sitecore is the platform that we use to help our globally trading clients connect clients to their customers. Sitecore provide our clients with a suite of integrated marketing, analytics and technology to help their business deliver an intelligent and personalised experience to all of their customers across the world. We have recently partnered with the RCSI – Royal College of Surgeons, the international leader in medical education and training to develop the next generation of the digital presence upon Sitecore. Sitecore is built to help organisations to create sustainable customer relationships and to offer webmasters and marketers full control over all aspects of their website down to the most intricate details. What is the Sitecore Experience Platform? Sitecore XP delivers a holistic view of your customer and their behaviour and needs. Sitecore XP also provides the freedom, flexibility, and speed for your team to engage with your customers.